St George Utah, the surrounding areas, Zion National Park, and Springdale have some of the most naturally stunning scenery in the world. 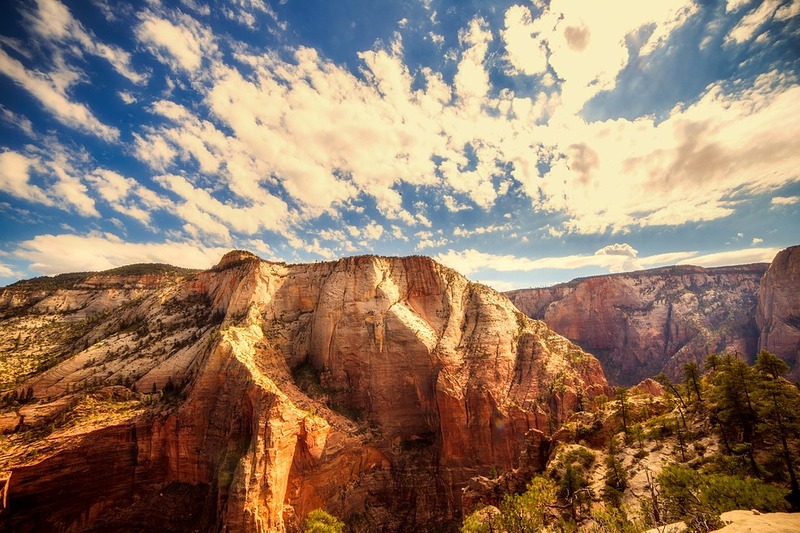 With its amazing red cliffs, endless trails and elevated views, you are sure to be exploring in amazing beauty. The town of St George Utah has excellent hotels, restaurants, shopping areas and all the amenities you could need, while still retaining the feel of a small and personal location. The surrounding areas offer plenty of adventure for those that do not just want to sit back and relax in the sun. You do not need to spend much money to go exploring in St George Utah, or in the surrounding areas. Hiking along the many trails in the Zion National Park or the Snow Canyon State Park offers a truly unique chance to see terrain of such beauty and amazing colors, that you will not find anything like them anywhere else. The trails are of various lengths, so you can opt for which one is most suitable, depending on how energetic you are feeling. There is also the choice of road cycling or mountain biking, and both are great ways of seeing the wonderful views. If you want something more sedate, you could take a trip in a balloon or a helicopter and see the many national parks, forests, recreational areas, and national monuments from the air. Among the other activities to take part in is skydiving, rock climbing, horse riding, fishing, jeeping and water sports. It is also the sort of location where you can sit by the hotel pool and read a book or just soak up the sun, without any pressure to do anything else. For detailed information on what St George Utah has to offer, take a look at Visit St George. If you fancy a game of golf, there are 11 courses within a 40-minute radius. You can even go on a golf trail, which will all be pre-booked, where you can stay in affordable accommodation and then play on courses that could be the best you ever encounter. It does not matter if you are new to the game or a professional, St George Utah will have a golf course suitable for you. There are all types of accommodation in St George Utah and the surrounding areas. You can stay in one of the many hotels, in one of the bed and breakfast establishments, hire a condo or villa, or maybe you want to pitch a tent on one of the camping parks. Whatever your budget, you will find good accommodation in St George Utah. When it comes to food, the choice is very diverse. There are numerous restaurants, bars, and cafes serving traditional American fare, Asian foods, Hawaiian cuisine, Italian dishes and of course, there is fine dining. You can also sample the barbeques, buffets, diners, delis, pizza parlors and steakhouses. There is something to suit everyone’s tastes, all at very reasonable prices. If you are after a good holiday that will not break the bank, St George Utah and the surrounding areas could be the place for you.